How to buy hosting for a WordPress website. Ready to setup your first WordPress website? Because you’re about to learn about WordPress hosting. For beginners, this can be frustrating with a lot terminologies and confusion. 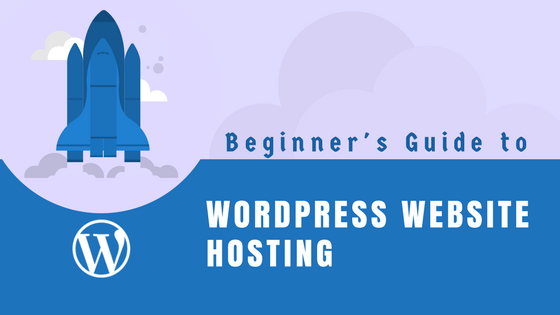 But this guide provides all you need to know to a successful hosting of WordPress websites. I also get to share about choosing a right web hosting provider for your website. Web hosting is the service that stores your web files and makes your website available to be viewed by others on the Internet. There are different terms used to describe the same thing, such as: web hosting, site hosting, blog hosting, self hosting etc. They all mean the same thing. You have some server space where you store your website’s files and you have control over it. Because you want your website to be accessible at all times, you will need a web hosting provider to provide the services for you. You should know how to setup a WWW server software on your computer. This is a software that allows Internet users to access the web files on your computer. Your Internet service provider supports you running websites on your home computer. You will need to investigate your bandwidth quota. Your computer has to stay on at all times. Each time you turn it off or reboot, your website will become unavailable. Your website will load slowly as home Internet connections are not designed for serving web pages. So even if you can, I suggest you don’t because it can become wayyy too expensive for you. If you’re new to WordPress you might not understand the difference between WordPresss.com and WordPress.org. Some beginners even use them interchangeably, they’re actually very different in terms of hosting. 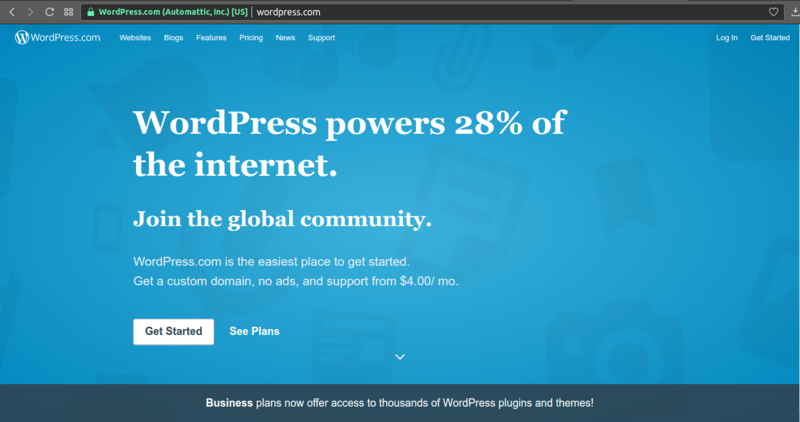 With WordPress.com YOU DO NOT HOST your website yourself, but rather WorPress.com does this for you. 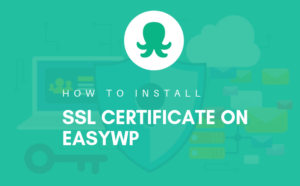 On the other hand, WordPress.org provides you with a free software which YOU HOST yourself by installing the software on a web host of your choice and starting creating a website you desire. In this guide (and generally) WordPress means the self-hosted WordPress software which is provided by and downloaded from WordPress.org. So when whenever I mention WordPress, just know am talking about WordPress.org. Now let’s look at the benefits and limitations of of WordPress.com and WordPress.org. 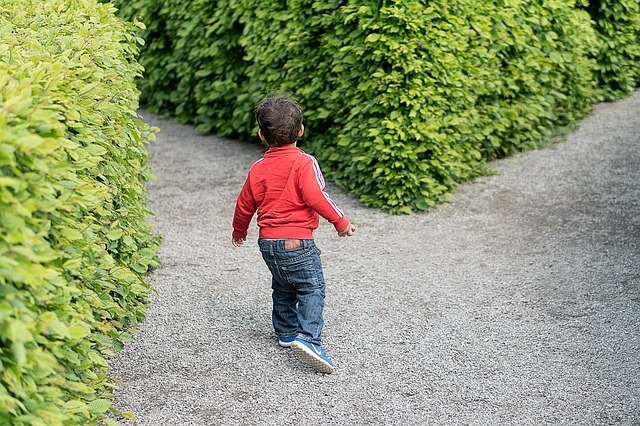 This will help you in deciding which option you should choose. No custom domain (such as wpchap.com) unless you upgrade to “Personal” plan for $48/year. 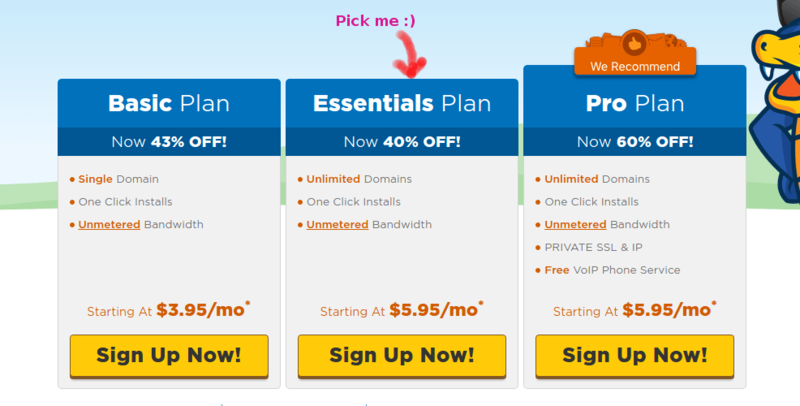 Ads are placed on your website unless you upgrade to “Personal” plan for $48/year. You can’t upload custom themes and plugins unless you upgrade to “Business” plan for $299.04/year. You can’t earn money from your website unless you upgrade to “Premium” plan fo $99/year. Monetization is limited to WordAd program. Violate terms and conditions and you’re deleted. 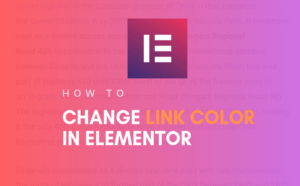 You have total control of your site (like change, tweak, brand your site however you feel like without restrictions). You’re required to make updates yourself. You’re responsible for your website backup. After weighing both options, looking at the benefits and limitations of each. It now depends on your website needs. But if you’re like me who prefers total control and freedom, I will choose WordPress.org since setting up a website with WordPress is a piece of cake even for non-techies nowadays. So, if you’re looking to build a website without limits from online stores to money making blogs then self-hosted WordPress is what you need. WordPress.com is great for if you want to deep your feet in blogging and want to do it for free. So if you’re looking for free WordPress hosting, then WordPress.com is what you’re looking for. These are two terms that have flourished due to the increasing popularity of WordPress. WordPress Managed hosting is a hosting plan that is specifically optimized for WordPress. A hosting provider takes care of all server aspects for WordPress site. Optimization of your site for performance. Themes and plugins advice in regards to performance. You should know however, WordPress managed hosting won’t let you host anything else but WordPress. In other words, you can host your other PHP applications or website on such a server. WordPress Unmanaged hosting on the other hand is a hosting plan that’s not specific to WordPress. In this case you purchase a hosting plan that satisfies WordPress requirements and you do the rest yourself. From installation, optimization, security to backups. All these on you. Under this kind of hosting, your website shares a server computer with other websites. In other words, your website is sharing resources of a server with other several websites. This is the cheapest kind of hosting provided by most hosting providers. Ideal for small WordPress websites receiving less than 30k visitors per month. You also don’t do the server setup yourself, which is great for beginners without server setup knowledge. This is kind of hosting is the exact opposite of Shared hosting. 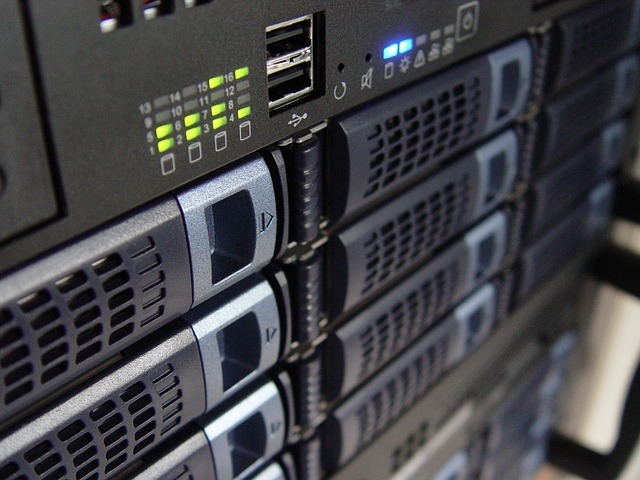 With this kind of hosting, your website is stored (hosted) on it’s own single server computer. There’s no sharing of server resources here. Ideal for websites receiving very huge traffic of over 100k visitors per month. Here a physical server is split into several other virtual servers. A virtual private server is virtually an independent server. The beauty of a VPS is that you can scale from a small server to a bigger server depending on the growth of your website without having to switch servers. This kind of hosting requires technical knowledge to setup the server. Unlike shared hosting, here you even get to have root access, where you can run WordPress command lines if you like. Yes, making a choice can be tough sometimes. A hosting plan you choose can affect your website performance. Bandwidth is the amount of content sent by your website server to a client user agent such as a browser. It’s important to calculate an estimated amount bandwidth your website needs. Assuming you estimate your website to host get 10,000 visitors in a month. 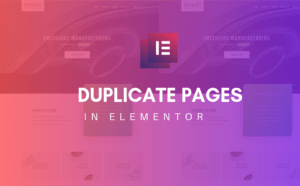 Each visitor visiting 4 pages per visit. And your page size is 1MB. So, in this scenario you’d need a minimum of 40GB bandwidth size. This is exactly why different plans have different Bandwidth. However, some hosting provide ‘unlimited’ bandwidth. This is limited in most cases. If your website begins to get really HUGE traffic, they’ll force you to switch to a different plan. It is important to know how much storage size your hosting provider grants you when choosing a hosting plan. If your WordPress website is for instance going to host large files such as videos, music, pictures. You’ll require larger storage size. A blog like this one, does not exceed 20GB. Generally a plan of 20GB storage space, is good enough. Some hosting plans have “Unlimited” storage size. Again, this doesn’t really mean your hosting storage size is really unlimited. You’re website is simply alloted storage space they think you’ll not be able to finish. So they label it “Unlimited”. It is important you know you how reliable is a web host in terms of uptime score. Uptime is the amount of time a server computer is available and working. You can measure this yourself using online free tools such as pingdom server monitor. (BTW, I use pingdom for website uptime monitoring). And you can do the testing during the 30-day trial period most web hosting providers usually give. 99.5% uptime is the minimum you should accept, anything below this isn’t healthy for your website. Customer support is a very important factor when choosing a web host. 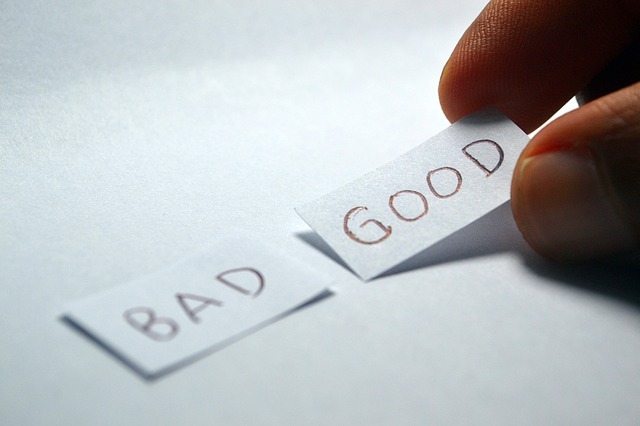 Any web hosting provider with poor customer support is a pain in the ear. I remember one instance when one of our programmer mistakenly shut down a server (via command). The server had to be physically powered on, customer support was the only way to go. So, no matter how technical you’re, you need an excellent support. This may come down to which kind of communication you prefer. Personally, I prefer live chat to telephone call because being on a different continent, accent is my problem and I wouldn’t want to waste time trying to understand what person on the other side meant when they said something I din’t understand just because they pronounce it differently. Not everything can be solved by Google’ing or knowledge base. Seriously, this should have been like a first factor. But because most hosting providers almost always have these in place. What are the renewal terms and fees? What level of customer/ technical support are offered? What type of scalability potential is there? Does the hosting company offer a free trial? 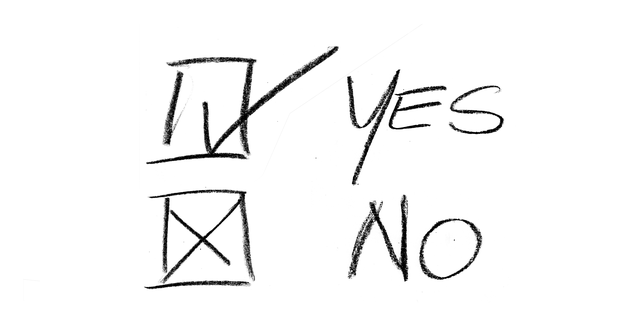 If a hosting provider can answer all or most of those questions, go for it! Having grasped the basic understanding of a web host, I guess you’re ready to make a purchase. From wherever you’re, unlike a physical business, you won’t have to move from office to office visiting authorities to be able to get a hosting account for your website. In other words, it is easy. Now all you have to posses is a means of payment like visa card, PayPal, etcetera. Choose a hosting plan that is fit for your website. Domains go hand in hand with hosting. It is important that you get a clear understanding of what a domain name is. A domain name is a website address. Such as wpchap.com or google.com. It is also usually a website name. Think of a website like a business. A business rents an office ( a building ) which houses furniture, documents etc. This an equivalent of website hosting. However, a business also has a physical address. Usually a unique number that identifies the building, it is this address that you mention to clients who would like to visit your business office. This is similar to a website domain. As it is with a business, you also have to pay for a domain and hosting (rent) separately. Think of a name you’d want to register. Visit a domain registrar such as Namecheap or Godaddy. Search your name in mind from step 1. If the name you want is available, congratulations! register it. If the name you want is taken, repeat step 1-5. 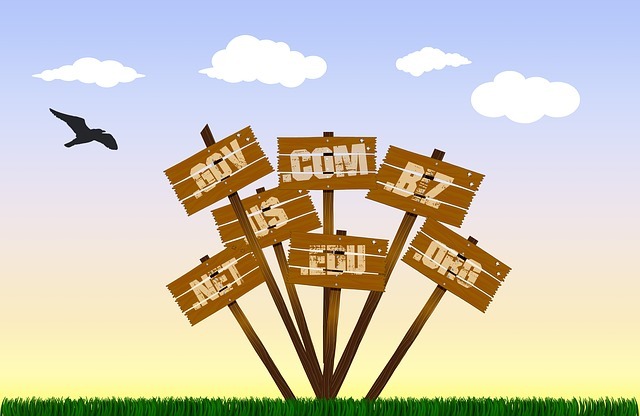 Here’s an a full guide on how to buy a domain name. To get a full understanding, why not give it a read? As you may have noticed already, most hosting providers also provide domain registration services. This comes with its advantages and disadvantages. Nameservers already setup for you. You do not have to configure nameservers because everything will just work fine. Free domain for the first year. 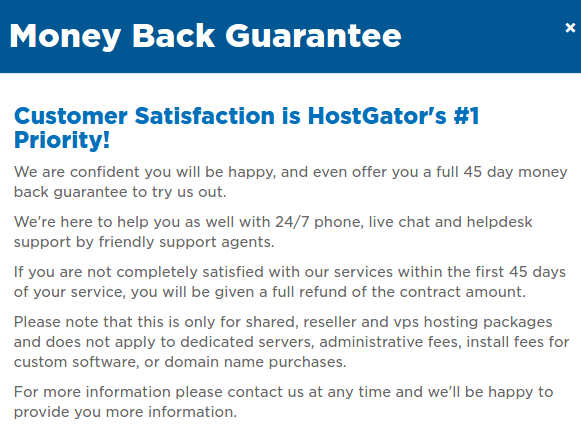 Most hosting providers like Hostgator will let you register and use the domain for free for your first year. Can be expensive. Some hosting providers will over charge you for a domain name. It is important you look at renewal prices. Yes, you guessed it right. Great chat support (They’ve got phone as well, I have never used it though). Very user friendly interface, especially for beginners. 45-days trial period. This is where I get to test server speed and uptime before full commitment. Now it is your turn to..
How did you find it hosting your first website? Was it easy-peasy, or you got stuck? If you have some questions, post them in the comment section below and I will respond with some help.